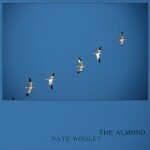 Trumpeter Nate Wooley’s recent albums include the solo records The Almond and 8 Syllables and the quintet recording (Put Your) Hands Together. In this interview, Wooley talks about putting 100 trumpets on one solo (!) recording; why he was surprised when one of his albums made him feel good at the end; how he started playing solo trumpet; and how the death of his grandmother led to his recent quintet album. 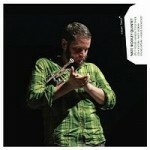 Learn more at natewooley.com and follow him on Twitter at @nate_wooley.